How does the Earth look from far away? Is it as beautiful as we think it is when we look at it from our planet? These are just a few of the thoughts which occur when we are raising our eyes to the endless sky. It is this moment when we are wondering what lies beyond the boundaries of the Earth’s atmosphere. Pupils dilate and heartbeat gets faster, as we look in awe the few lucky ones who had the chance to see our planet, but also life, from another perspective. Space veteran and NASA retired astronaut Clayton C. Anderson has had the unique opportunity to spent 167 days floating over the Blue Planet, to understand its fragility and to admire the beauty of the Earth! In his talk at the Athens Re-Science Festival 2019, he will embark with us on an exciting journey beyond the limits of our planet, with photos taken during his expedition to the International Space Station (ISS), reflections about life onboard the United States’ most complex technical achievement, but also a “pseudo” game of Jeopardy on world geography. Astronaut Clayton C. Anderson (Astro Clay) served as an employee of the National Aeronautics and Space Administration (NASA) for thirty years, fifteen years as an Aerospace Engineer and fifteen years as an Astronaut. Since retiring from NASA in 2013, he has given numerous speeches to people around the United States and internationally, focusing on the topics of leadership, education, STEAM (science, technology, engineering, arts, and math), perseverance and teamwork. He is the author of three books: The Ordinary Spaceman: From Boyhood Dreams to Astronaut (published in 2015), A is for Astronaut: Blasting Through the Alphabet (published in March 2018) and It’s a Question of Space: An Ordinary Astronaut’s Answers to Sometimes Extraordinary Questions (published in July 2018). 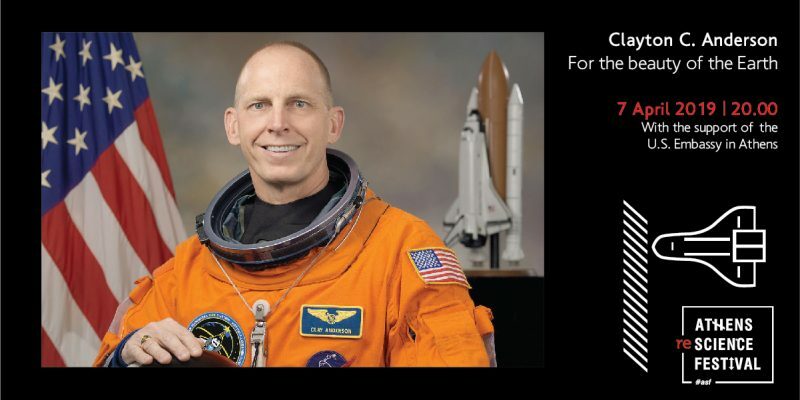 For more information please visit www.AstroClay.com, www.AstronautClayAnderson.com or follow @Astro_Clay on twitter. 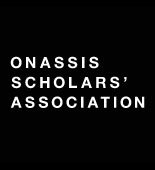 Clayton C. Anderson’s talk will take place with the support of the U.S. Embassy in Athens.